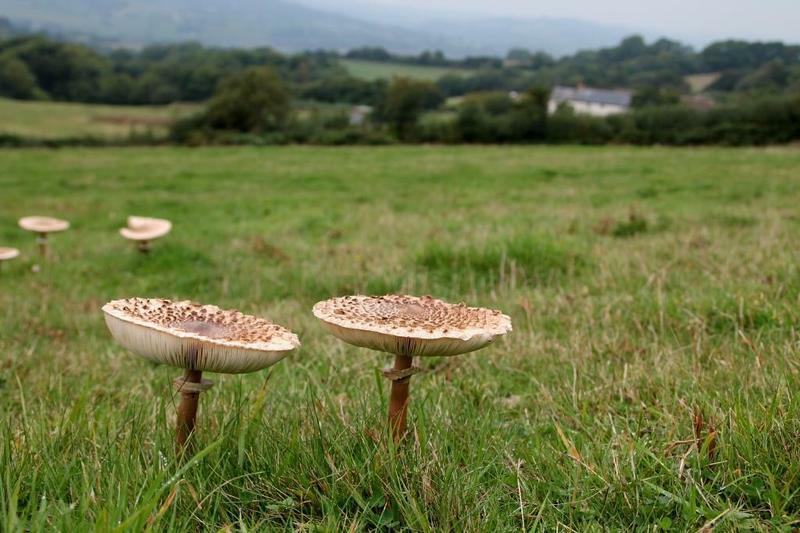 Explore the beautiful Devon and Dorset countryside on our Mushroom Foraging course, before returning to HQ to cook your fares and feast at the River Cottage Cookery School. A taste of true River Cottage tradition, our Mushroom Foraging course is a chance to get back to nature and explore the woodlands and fields around River Cottage during the peak fungi season, late autumn. 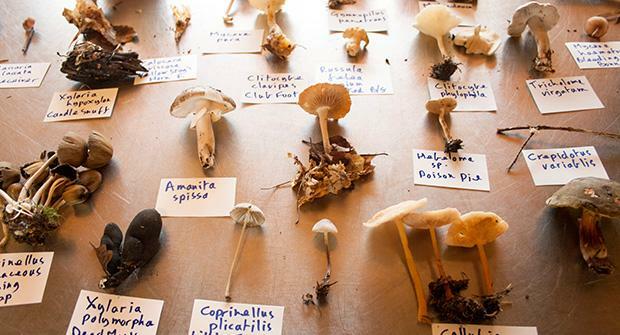 Led by foraging expert John Wright, you’ll hunt for a wide range of fungi and learn how to identify mushrooms safely, gather them responsibly and cook them for the most delicious results. You’ll end the day with (what else?) a mushroom feast back at River Cottage. We always forage responsibly and advise our guests to do the same and only pick what they need. On our forays we take just two baskets between the whole group – one for edible and one for interesting finds. We never pick anything that is rare and we never pick the same species twice. 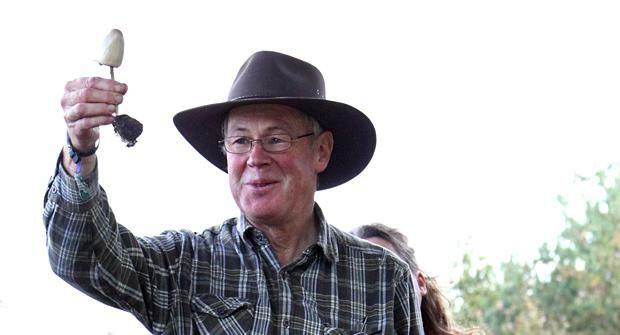 You will meet your host, John Wright, and start the day with tea, coffee and snacks and one of our famous ‘forager’s nips’ before heading off to the foraging site. The day begins with foraging in the beautiful west Dorset/east Devon countryside. 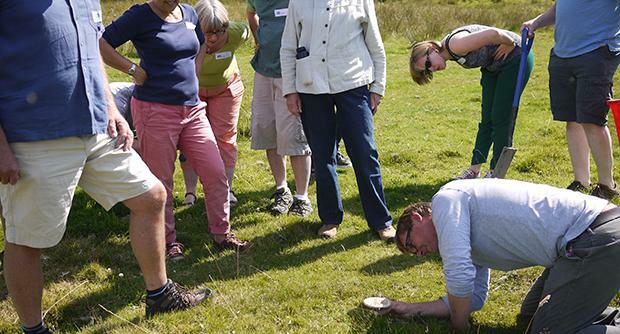 John will teach you how to safely identify, pick and prepare different fungi. We can’t guarantee what you will find on the forage, but there will always be plenty to talk about. Food is always the focus at River Cottage, and you’ll have a delicious picnic lunch on location before returning to River Cottage HQ. Once back at River Cottage HQ, you’ll join our resident chefs in the beautifully restored barn for a mushroom cookery demonstration. After a talk from John about the varieties gathered in the morning, you’ll finish the day with a forager’s supper. You’ll sit down to a local and seasonal feast prepared by the River Cottage chefs, which might just feature some of your foraged mushrooms. The tractor will be available to take you back up the hill at 5pm (approx. a 5 minute journey).